BEIJING, Oct. 17 (Xinhua) -- China has full confidence in the positive long-term outlook and continued, sound growth of its economy, a spokesperson for the 19th National Congress of the Communist Party of China (CPC) said Tuesday. The economy has strong momentum for steady progress and growth, and major international institutions have revised up their growth forecasts for China, said Tuo Zhen, spokesperson for the congress, at a press conference. 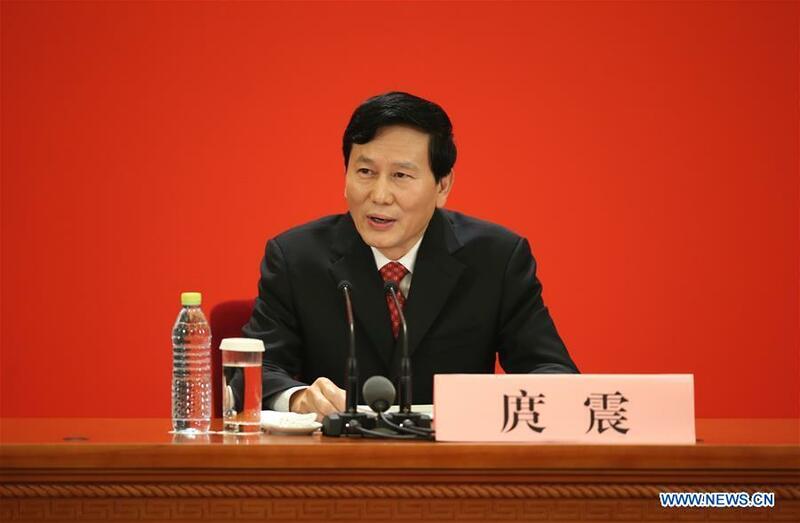 He dismissed concerns over any possible negative impact from measures to deleverage the economy, saying reducing leverage and stabilizing growth should not be seen as conflicting with each other. Deleveraging can help defuse latent risks that affect the steady, healthy development of the economy and can boost the economy's resilience in the medium to long term, Tuo told reporters. "Initial progress has already been made in the efforts to reduce leverage, and it has not had any significant dampening effect on the economy," he said. Between 2013 and 2016, China's GDP maintained an annual average growth rate of 7.2 percent, contributing more than 30 percent of the global economic growth, according to Tuo. The economic structure is optimized, with the shift between old and new growth momentum accelerating and people's wellbeing improving, he said. Meanwhile, the spokesperson stressed China's determination to deepen reform, which he said has increased the momentum and vitality of economic and social development. The 19th CPC National Congress will map out new strategic measures for the country's reform and development in the coming five years and beyond, advancing reform from a higher start point, Tuo said. (CPC Congress) Backgrounder: What does it mean to be a Party member?